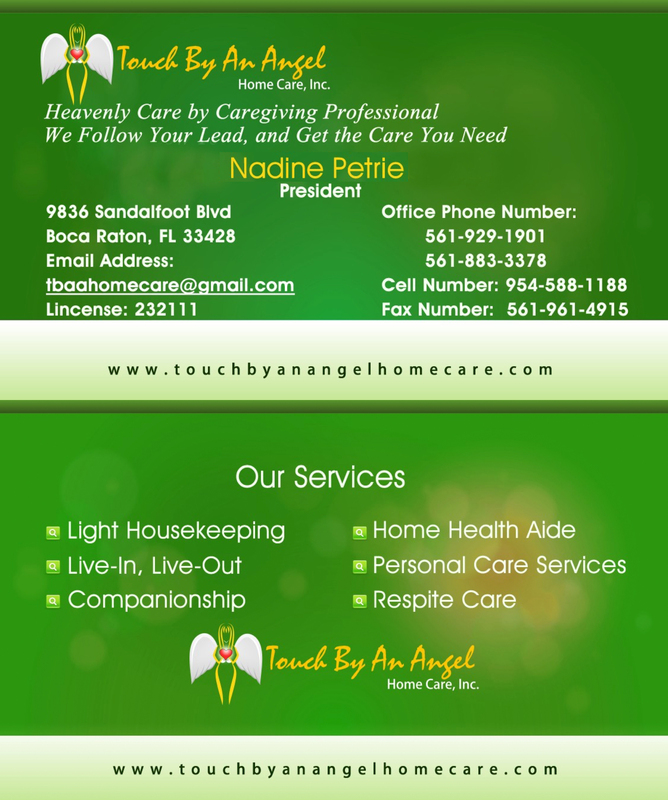 Touch By An Angel Home Care, Inc. was founded several years ago. With the founder’s vision for continuous service improvement and quality assurance in home care, Touch by An Angel started as a small family-operated agency. Closely supported by its staff of professionals who are licensed and registered in the different fields of non-medical home based industry, we have planted a seed of skills, values and passion. To this date, that seed has become a tree, towering high beyond its competitors and bearing fruit to all those who need home care in their private residences around Boca Raton, Florida. Touch By An Angel Home Care, Inc. soars high above the other in-home agencies, as evident in the reviews, recommendations, evaluations, and achievements we have received. Focus. Consistency in the provision of the main goal, to serve for the better. Superiority. Excellence among the other agencies. Attitude. Proactive implementation and caring performance. Accountability. Guaranteed quality is our responsibility. Priority. Center on the important and significant. Stewardship. Responsible preparation and management of resources. Network. Leverage the impact of affiliates and relationship. Respect. Value for the client through open environment. Integrity. Honest and ethical rendition of services. Know more about us. For arrangements, requests, or inquiries, you may direct them through Touch By An Angel Home Care, Inc. hotline at 561-929-1901. We are open for consultation and visits during office hours and maintain an on-call staff after business hours.